Guest review by Anachronist from Portable Pieces of Thought! 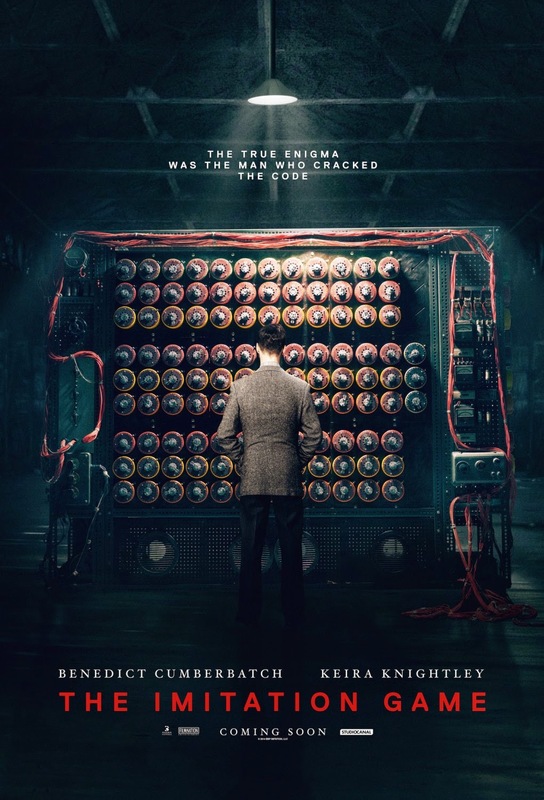 Based on the real life story of legendary cryptanalyst Alan Turing, the film portrays the nail-biting race against time to break the code of Enigma. During the winter of 1952, British authorities entered the home of mathematician, cryptanalyst and war hero Alan Turing (Benedict Cumberbatch) to investigate a reported burglary. They instead ended up arresting Turing himself on charges of 'gross indecency', an accusation that would lead to his devastating conviction for the criminal offense of homosexuality - little did officials know, they were actually incriminating the pioneer of modern-day computing. Famously leading a motley group of scholars, linguists, chess champions and intelligence officers, he was credited with cracking the so-called unbreakable codes of Germany's World War II Enigma machine. It is one of these movies which seem to be aimed at ignorant people – the less you know about the historical Bletchley Park and breaking the code of the German encryption machine the more you will enjoy it. Some might call it easy entertainment I call it a dumbed-down, run-of-the-mill hogwash, at least when it comes to the historicity. I grant it – the director had several good ideas. One of them was showing how in times of war ordinary people were forced to play God, deciding whether others should live or die. What is better: to doom the whole nation or the crews of several ships? How to measure the value of life? Few psychopaths enjoyed that insane power but the majority of ‘normal’ people, caught in it, were left scarred and disgusted by themselves permanently because the answer to such a dilemma is never clear or easy. Mark Strong enjoying a doorframe. Another highlight was the fate of Alan Turing, played brilliantly by Cumberbatch - it proved again that if you know how to count, count on yourself only, your country won’t move a finger unless they need you very badly. What else? 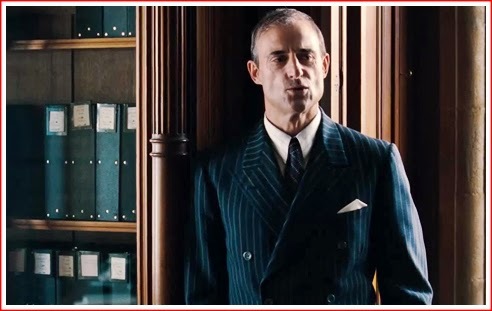 Mark Strong, playing the all-powerful MI6 director leaned against door frames in a very compelling manner. Oh, and I must add that children-actors in the flashbacks to Turing’s boarding school years (Alex Lawther and Jack Bannon) were wonderful. Now I can return back to carping and let me assure you, I hardly know where to start. Should I bash the director for casting Keira Knightley, a lady whose facial expressions remind me strongly of Tom Marvolo Riddle a.k.a Lord Voldemort, the main baddie from Harry Potter books? As long as she doesn’t smile she looks lovely but when she smiles she sneers, there is no kinder word for it. Anyway she made Joan Clarke look shallow and vapid. Or maybe I should focus on the fact that this movie, set in a place where the majority of employees, about 75% or more, were women still somehow failed to pass the famous Bechdel test? When the movie Joan Clarke finally talks to one of her female colleagues in a pub they talk of course about men *rolleye*. Serious matters are just for their male counterparts. You see? Spoiled for choice, that’s what I am. Turing's one-dimensional cohort of cryptographers was a compilation of cliches without one interesting feature (you get the cocky, handsome one, the nerdy, antisocial one, the intelligent, delusional Russian spy etc, etc). The screenwriter’s decision to employ a time-shifting structure contributed heavily to the film's been-there-done-that atmosphere, while the inclusion of needless obstacles within the narrative's back half served little purpose other than to pad out the already a bit overlong running time. 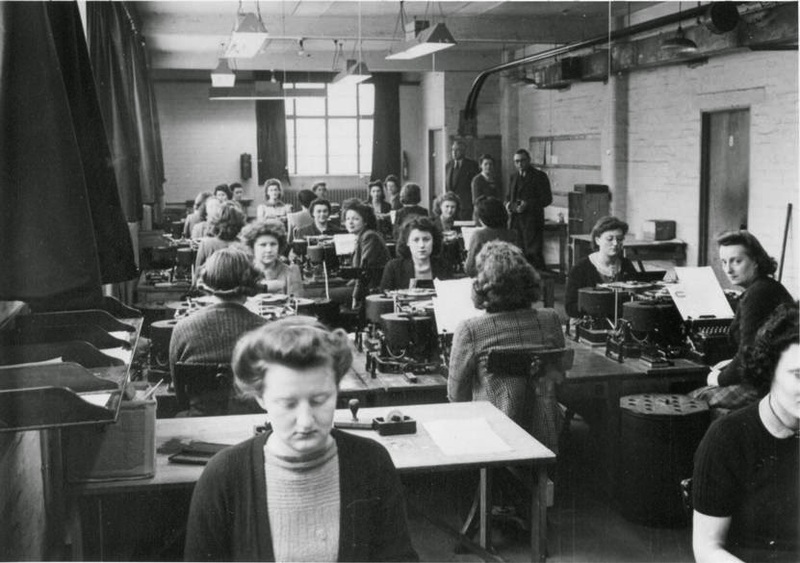 Photo of actual codebreakers working at Bletchley Park. Now the main lead. Turing was a brilliant mathematician, a crucial figure in the theorization and engineering of digital computing; and the biggest brain in Bletchley Park’s Hut #8, the unit in Britain’s World War II intelligence hub that succeeded in breaking the German’s Enigma code, thus shortening the war by as much as two years, give or take, and saving as many as twenty-million lives, perhaps more. Still the movie shows not enough of his thinking and reasoning, it focuses on his quarrels and romance with Clarke. Overall I felt the movie sentimentalized and simplified Turing, who, as far as I know, sometimes wished he was a machine and probably preferred the company of his digital creatures to any of his many lovers, whether casual or serious. That there is no sign of any of these lovers in the film is another failing – there are just empty accusations and an unbelievable confession, heard by a deus-ex-machina police detective (Rory Kinnear). 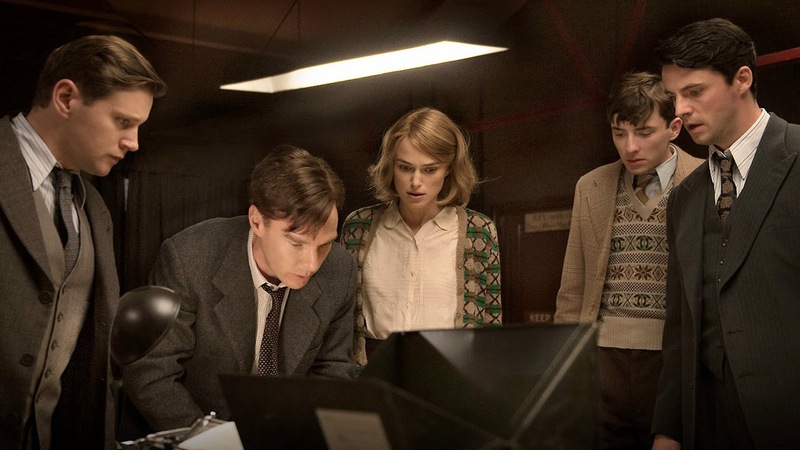 How could the director dumbed down Turing so much? Had his character really told the detective what he did at Bletchley, he would have been guilty of a crime far more serious than homosexuality. He would have committed high treason for violating the Official Secrets Act. It was still a hanging offense. In 1952 Turing was convicted of engaging in homosexual acts, for which he was sentenced to chemical castration (the option he preferred to two years in prison). As a result not only were his brain and body messed up by high dosages of estrogen, he also was barred from the government funding he needed to continue his life’s work on artificial intelligence. His death, just a few days before his forty-second birthday, from arsenic poisoning was most likely a suicide although possibly an accident or even an assassination. Instead of exploring the mystery of that tragic event the director decided to show a pointless, stunted investigation which led nowhere and a pair of cops whose role was to emphasize British prejudices. As much as I wanted to suspend my disbelief and take pleasure in the actors’ brilliance, I found The Imitation Game lacking credibility on every level. The historical accuracy was nowhere to be seen and the big emotional revelations at the story's conclusion fell completely flat. Pity. Sunday Snapshot and #Readathon Wrap-Up!